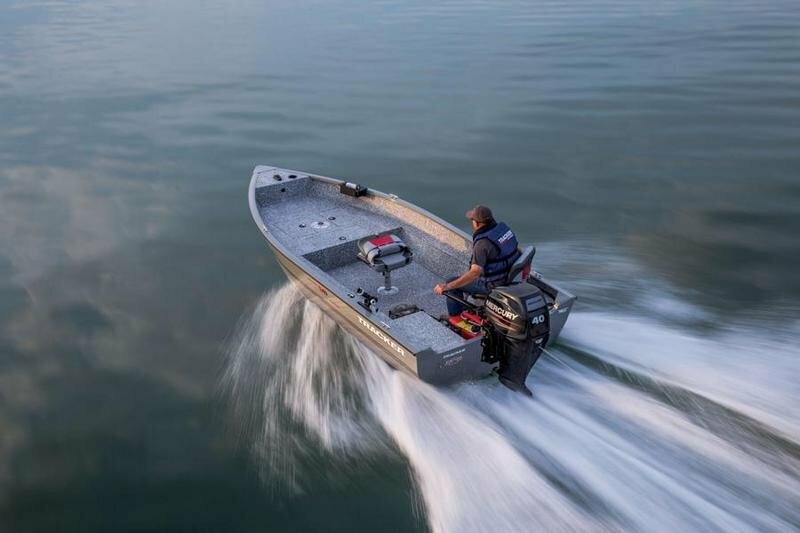 Welcome to our only all-welded Deep V utility boat package. 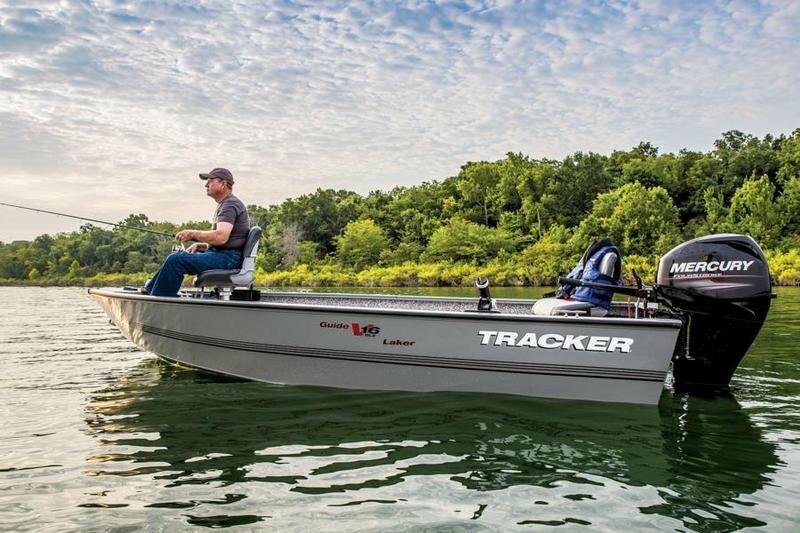 Depending on your needs, the TRACKER® Guide V-16 Laker DLX Tiller is ready to work hard or play hard. Its flat, vinyl-covered floor is ready to take on people, pets or a payload. 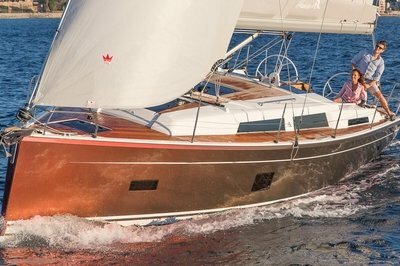 You’ll also find raised fishing decks both fore and aft—with a base for an optional fishing seat on the bow deck. Port, there’s a top-loading rod box to secure your gear. 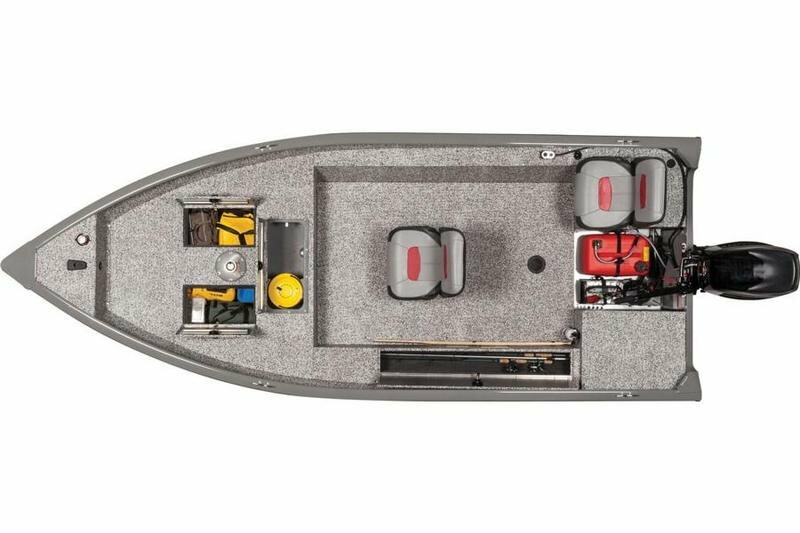 The open layout allows for maximum fishability. 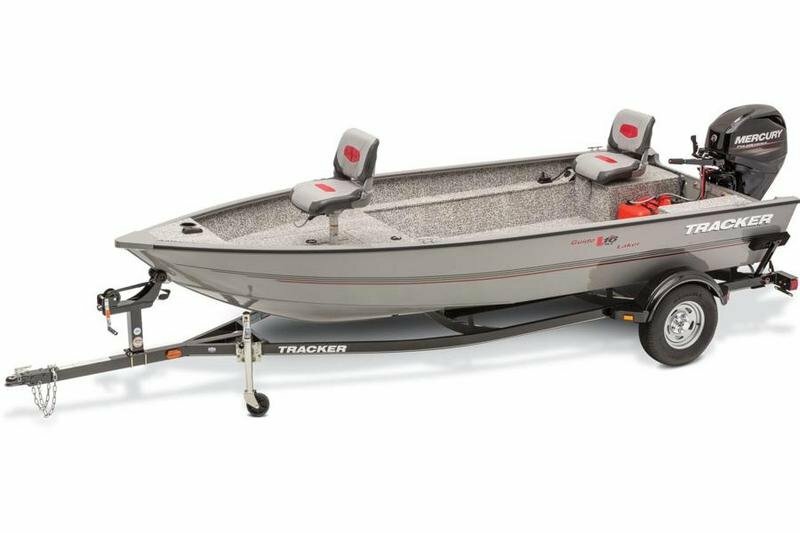 And the VERSATRACK® gunnel mounting system is ready to accept fishing or hunting accessories; complete with a Mercury® FourStroke, GALVASHIELD®-protected trailer and the Diamond Coat™ finish, the Guide V-16 Laker DLX T is rugged and ready. 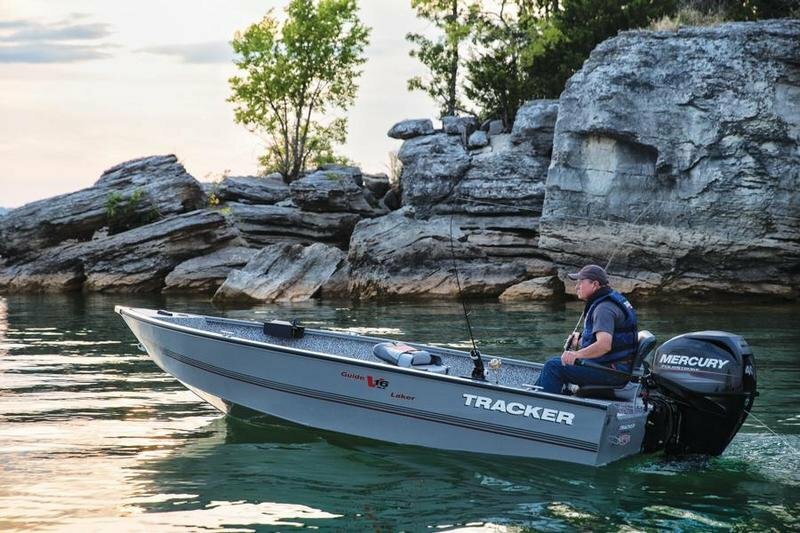 Continue reading for more information on the TRACKER Guide V-16 Laker DLX T.
Approx. package weight 1484 Lbs.